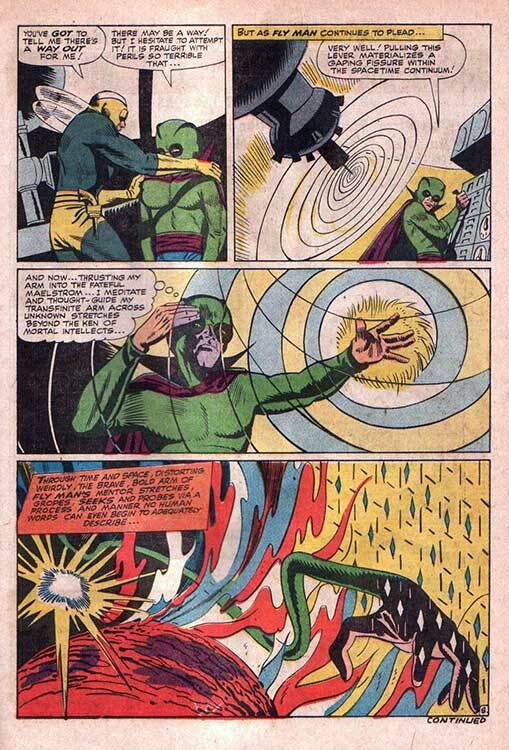 ... in an attempt to mimic Marvel Comics. Writer "Jerry Ess" was Superman co-creator Jerry Siegel, who replaced Robert Bernstein, the initial scripter of the revamped Mighty Comics Group titles. 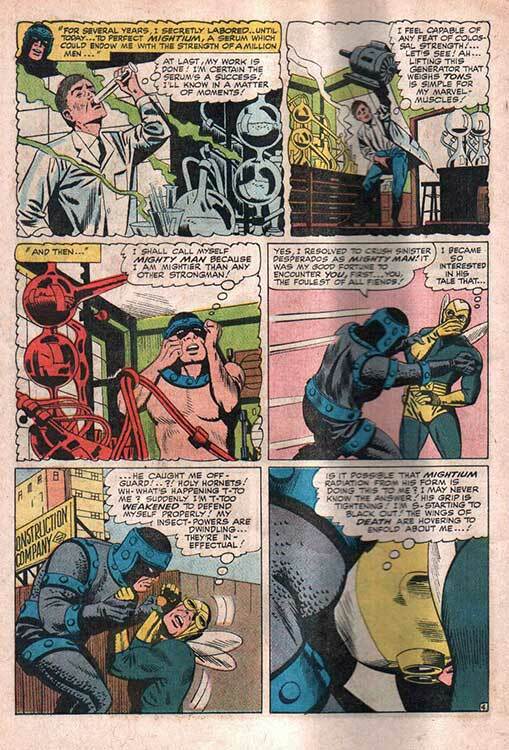 Artist "Paul Arr's" real name was Paul Reinman, whose one saving grace was that he was incredibly-fast since he became the primary artist for all the Mighty Comics titles* including Fly-Man (which became the anthology Mighty Comics Presents as of #40), Mighty Crusaders, and The Shadow! Now if you thought this was bad, as soon as the Batman TV series hit in January, 1966, and "BatMania" swept the country, Archie Comics' editors forced Siegel to add exaggerated "camp" dialogue and plotlines to the titles. 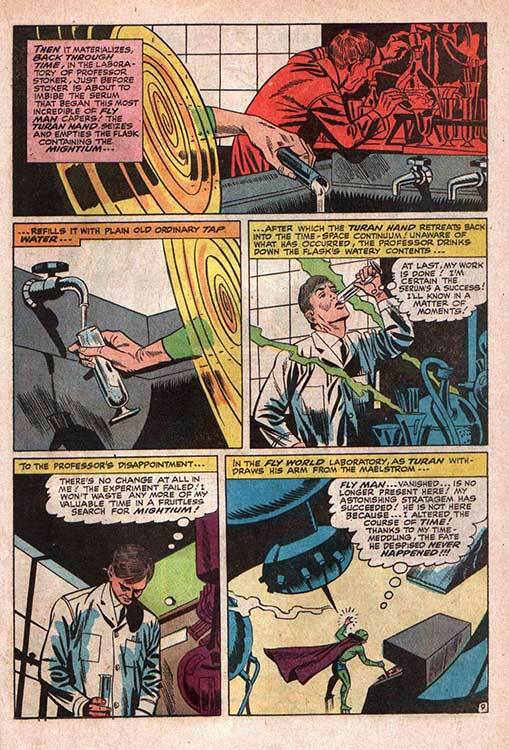 Unfortunately, Jerry was no better at writing those elements, then he was at mimicking Stan Lee's style. 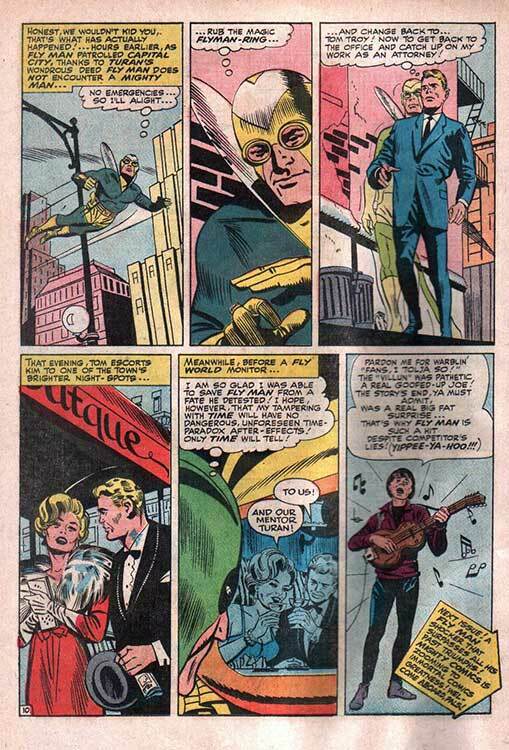 By mid-1967, the Mighty Comics Group and Fly-Man were gone from newsstands. 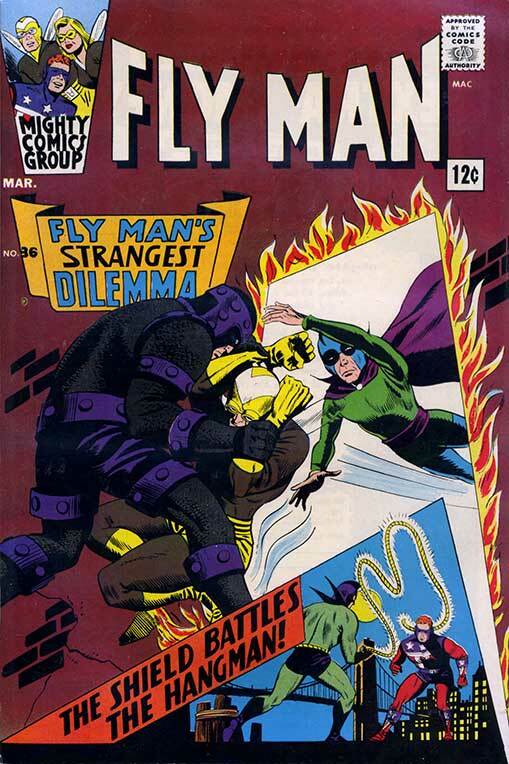 There have been several revivals of the characters since then, but The Fly was never called "Fly-Man" again. 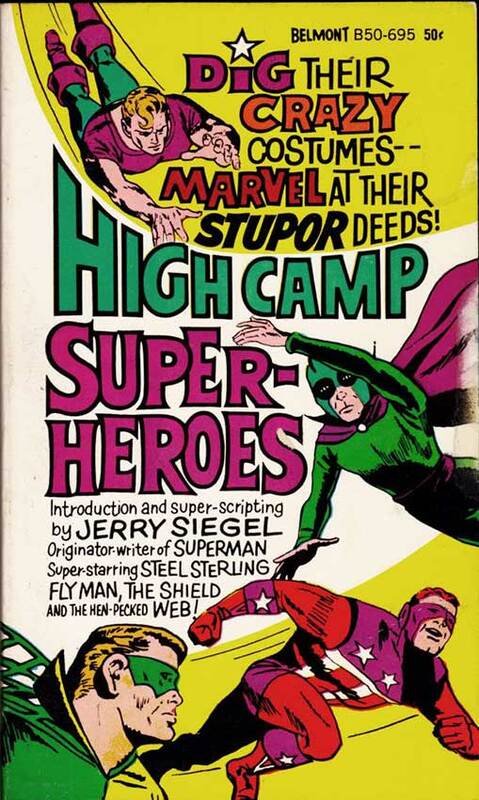 When Belmont Books brought out a paperback reprinting some of the tales in mid-1966, Siegel wrote a new intro and finally received a credit for his scripting under his real name instead of the "Jerry Ess" penname. BTW, you'll note that Fly-Man is not on the cover! 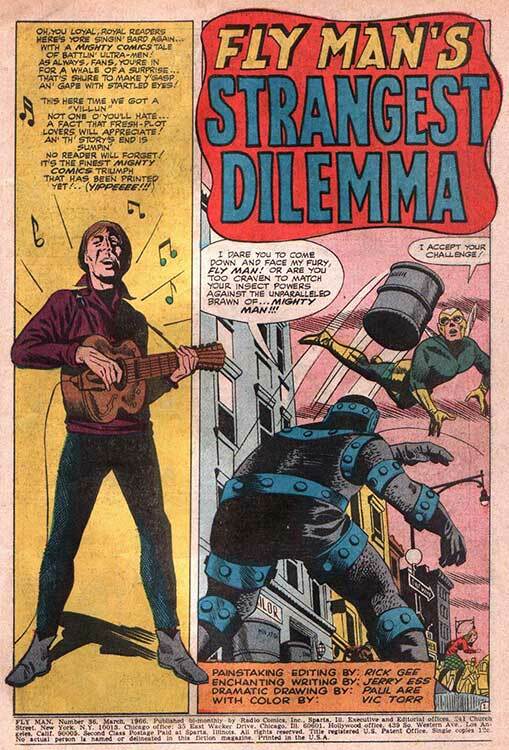 That's Turan, from the Fly-Man #36 (1966) cover at the top of this post, which makes some sense, since this tale from that issue is the only Fly-Man story in the book! 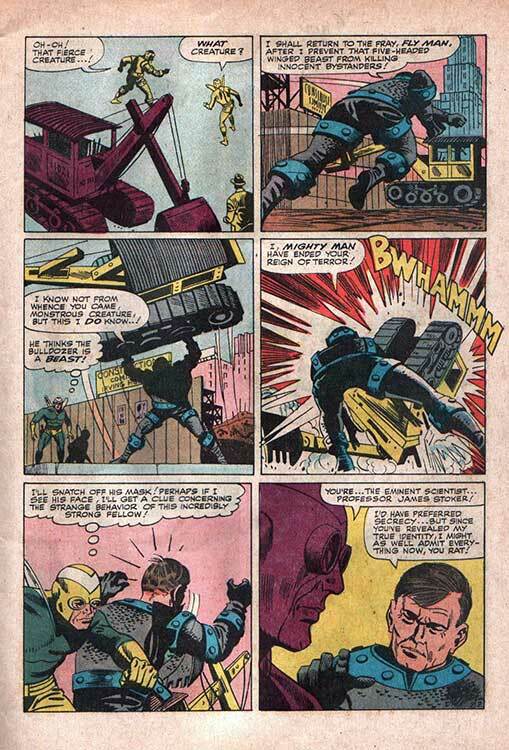 *Mike Sekowsky ghost-penciled a couple of stories, Joe Giella inked one. Good to see these Mighty Comic strips again, personally I loved them comics as a kid and it was probably an issue of the Mighty Crusaders (I recall the title was "Too many Super-heroes") that got me really interested as a 6 years old, in US comics - I was fascinated by all those characters the Web, Steel Sterling, Fox, Comet etc etc - I accept Paul Reinman's art isn't great( hews a better inker) but I liked it - great stuff thanks for showing this here. 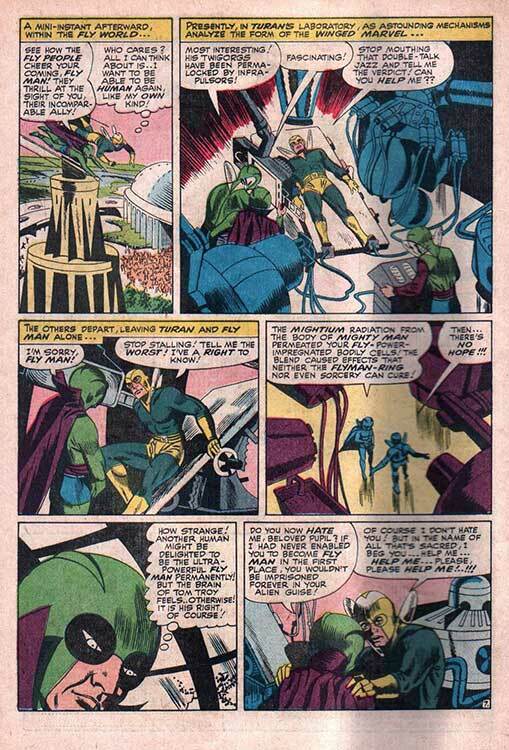 I also have a soft spot for the Mighty Heroes, having grown up reading them when I was a wee lad. 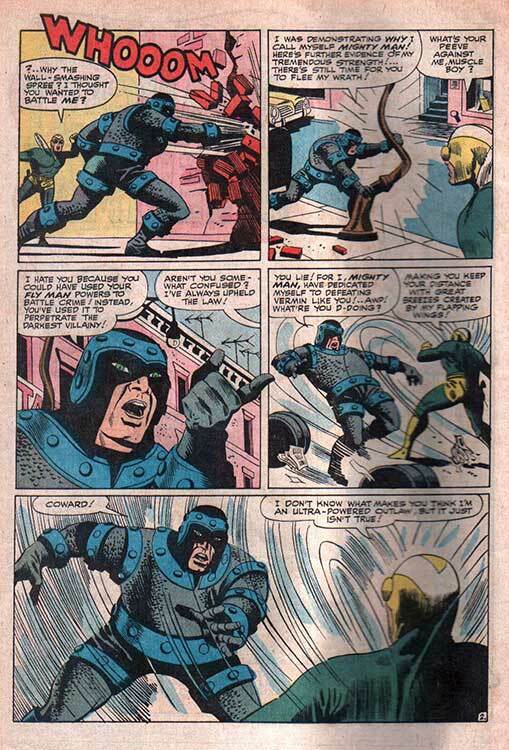 Mimicking the Marvel style didn't really work, but Reinman did a competent job, especially considering he was drawing all the titles. 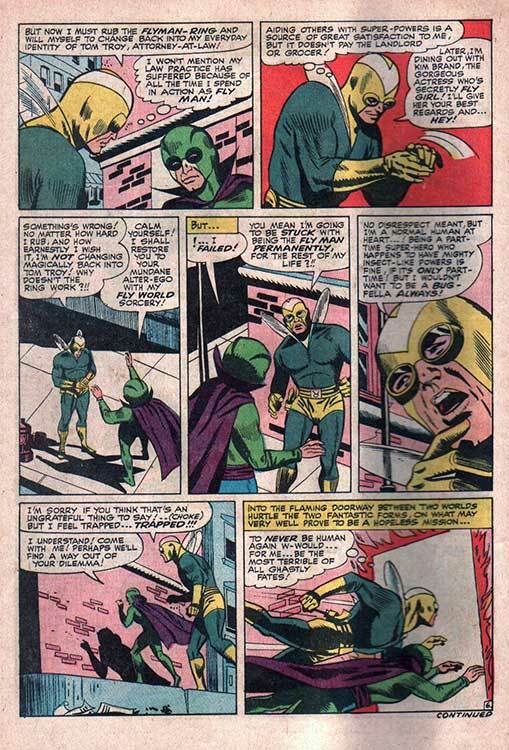 Reinman had a long career in comics, drawing everything from the original Green Lantern to some exceptional work for Atlas in the 1950s. 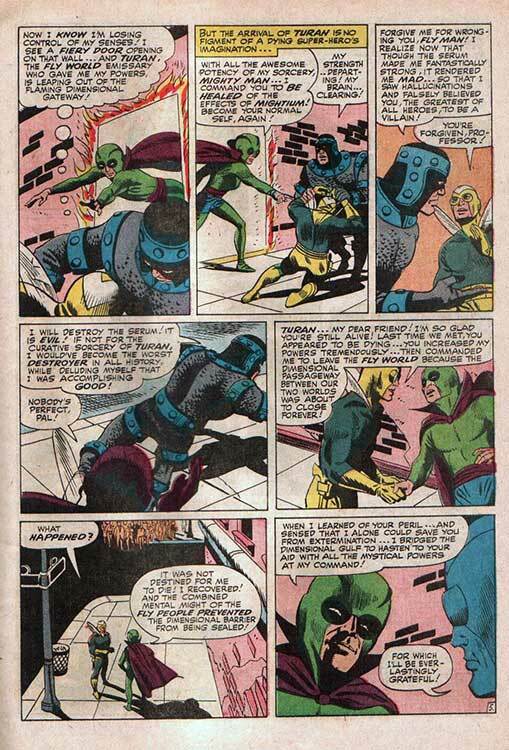 Reinman was also an accomplished painter, but even on this story a few pages/panels stand out, such as page 8.